Weigh – don’t guess. Underestimating the weight of sheep is a common cause of under-dosing. 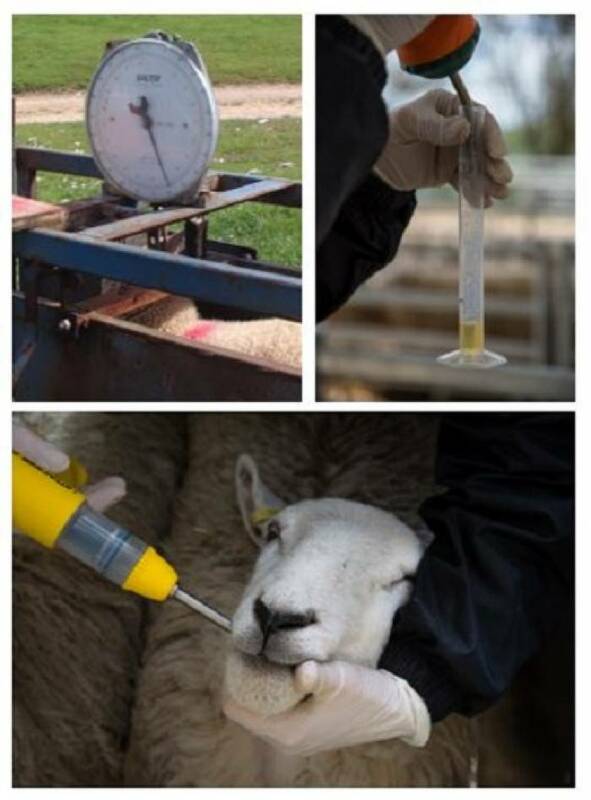 Select and weigh the biggest sheep in the group to determine the correct dose. If there is a wide range of weights, consider splitting the group and then weighing the heaviest in each section. Don't forget to check that the weigh-crate is accurate before you start! Calibrate and maintain the drench gun. Always check the gun is delivering the right amount before you drench. Use a calibration pot or remove the plunger from a 10ml syringe, put your thumb over the end and squirt the dose into it, making sure you have got rid of any air bubbles first. Adjust the gun until the dose delivered is correct. Drenching guns should also be well maintained and replaced regularly. Clean with warm soapy water after use and check springs and tubes to make sure there are no kinks that will form air bubbles. Drench correctly. 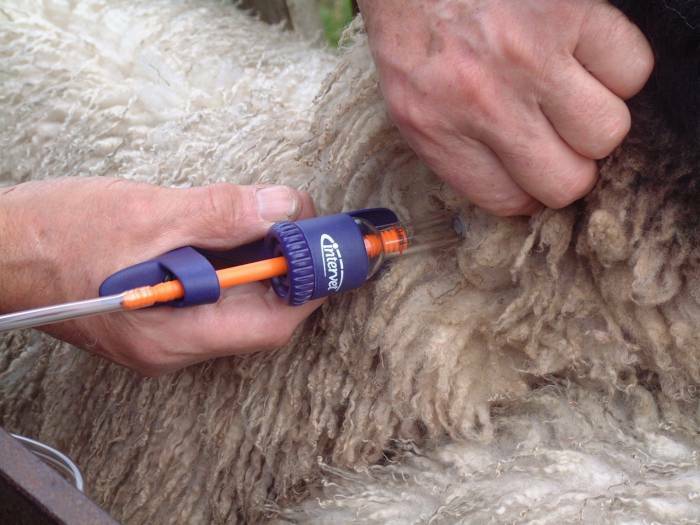 The drenching technique is a vital part of ensuring that the wormer does its job effectively. Make sure the sheep are properly restrained and can’t leap around when you are drenching, so they swallow the whole amount. Sheep can suffer serious injury, or even death, if they are unrestrained and the gun penetrates the tissues at the back of the mouth. Place a hand under the head and tilt slightly to the side. Slot the nozzle in the gap between molar and incisor teeth and then over the back of the tongue. You must get the nozzle over the back of the tongue. If the wormer is just put into the mouth, it will by-pass the rumen as it escapes down the oesophageal groove. This is particularly important for white (1-BZ) drenches. Injections must be given according to the manufacturer's instructions. Subcutaneous products should be given using a 1.6mm needle making sure it is under the skin of the neck 10-15cm below the ear. Intramuscular injections go into the mid neck with a 2.5-4cm needle aiming inwards and upwards towards the head. Moxidection 2% LA is given at the base of the ear. Massage the site of any injection gently after administration. Research has shown the efficacy of the white (1-BZ) and clear (3-ML) drenches can be improved by withholding food for 12-24 hours before treatment. Wormers should be stored securely, away from direct sunlight at 4-25°C. Check the use by date and, once open, use within the time shown on the packaging. Shake white (1-BZ) products well before use. Do not mix anthelmintics with any other product before administration. No matter how often you use a product, always read the instructions. Recommended dose rates and withdrawal periods do change. Dose to the heaviest in the group, calibrate and maintain guns regularly, and put the nozzle over the back of the tongue. 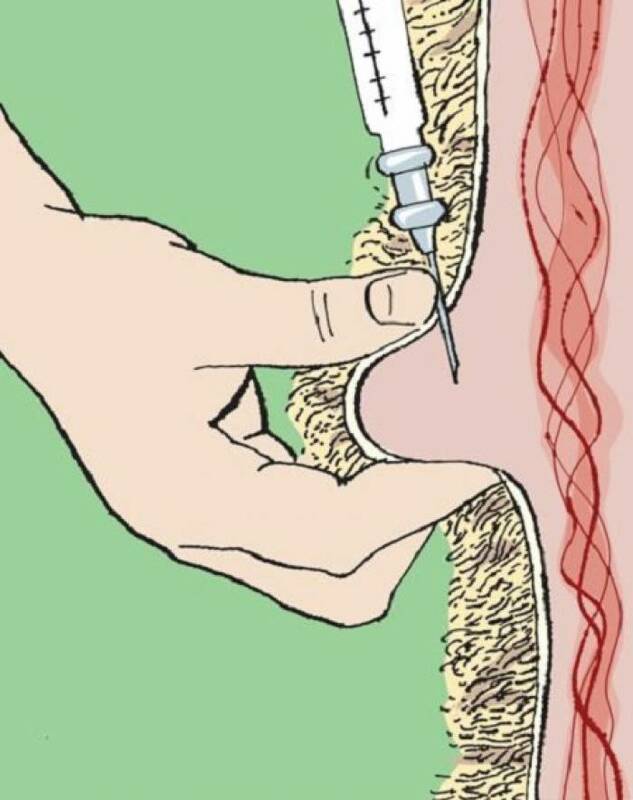 For a subcutaneous injection, pinch a fold of skin inject into the 'cushion' of skin.